Tori was born and raised right here in good ole Columbus, GA. She is a true southerner at heart who loves a side of fried okra and a glass of sweet tea. She has worked in childcare since 2011. Her career with Growing Room all started in 2016 where she was hired as a Lead Teacher in K2A. She has obtained her Associates degree in Early Childhood Education and is currently enrolled at Troy University where she is studying to receive her Bachelors in Global Business. As a child, her dream was to be a teacher and she has far reached this dream and has created a forever home with Growing Room. Tori has a strong trait in relationships and exhibits her trait well with each of our families and children. She has been married since 2015 to her husband Cam and they are the proud parents of three beautiful children, Conally, Taylin, and Cameron Jr.
LaQuetta was born and raised in Columbus, Georgia. She is a wife and the proud mother of three wonderful children who are the highlight of her life. LaQuetta began her career with Growing Room in 2003. She started as a lead teacher and was promoted to a supervisor in 2006. 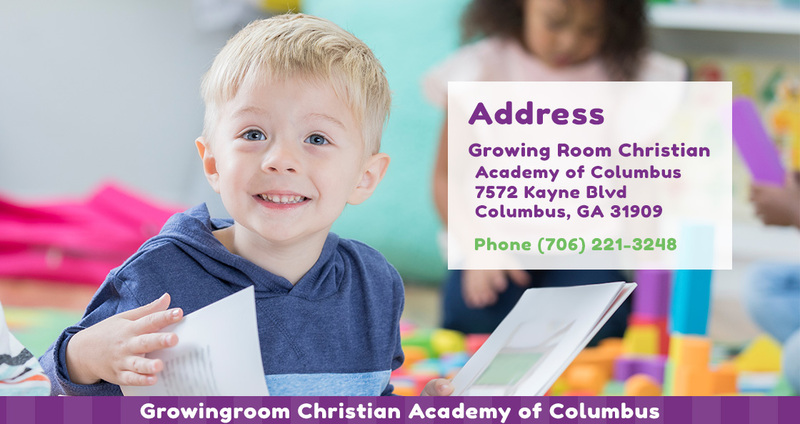 In July 2018 LaQuetta became the Assistant Director of Growing Room Christian Academy. LaQuetta believes in giving back to the community and she is very involved with different community services and outreach programs within her home town of Columbus, as well as the Atlanta area. LaQuetta is an active board member for the Sickle Cell Foundation of the Lower Chattahoochee Region.